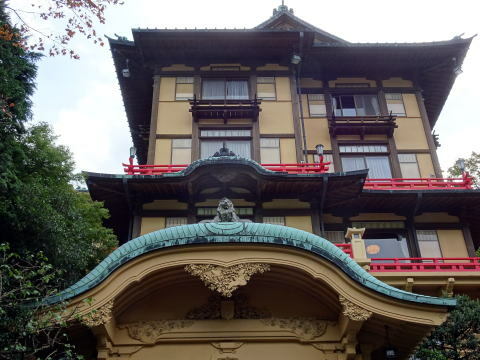 The Fujiya Hotel is all registered as the important cultural assets in Hakone, Japan. It shows, in order from left, Flower Palace, Restful Cottage, Comfy Lodge and Main Building. The house with a two-story pagoda is the restaurant building. This photography was taken from the fourth floor of the Forest Lodge, Fujiya Hotel at Miyanoshita, Hakone in October 2016. 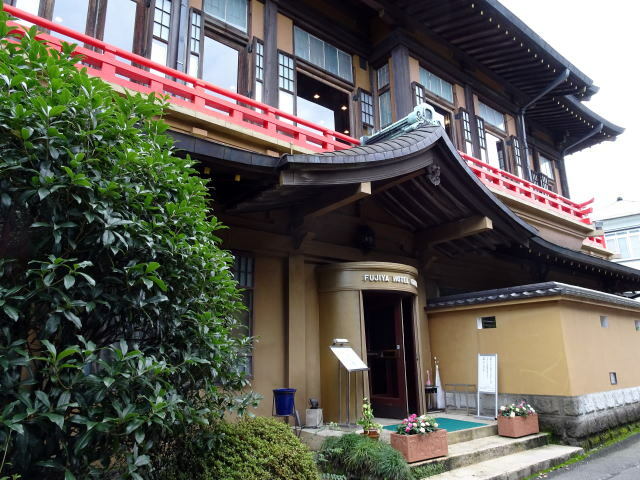 The Fujiya Hotel offers five types of accommodation, and they are all registered as the important cultural assets. between 1891 and 1960. 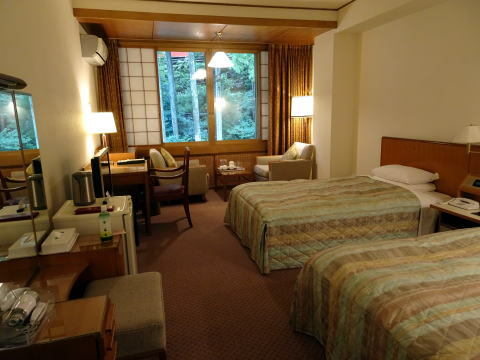 The hotel is located in Hakone area, making it a convenient base for touring around the region. 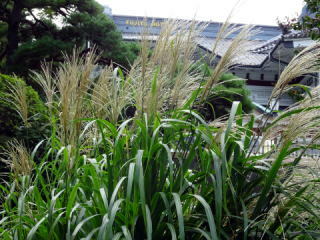 (L) It's time to see a Japanese pampas-grass in the hotel garden. 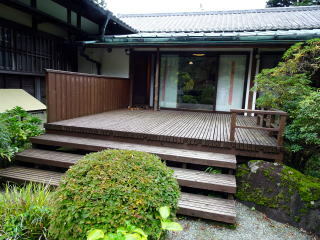 A footpath links the main building and Annex, Japanese-style dinning house, named as Kikkasou. 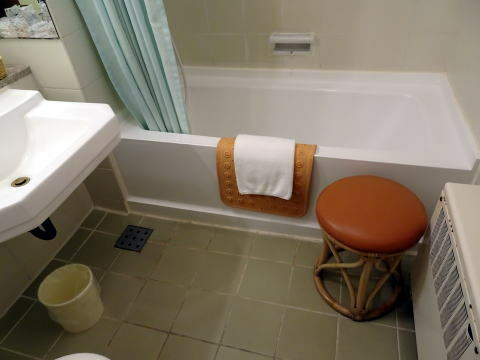 (R) A bathroom: A pure hot-spring water is pumping up at high pressure, flowing to the bathtub. 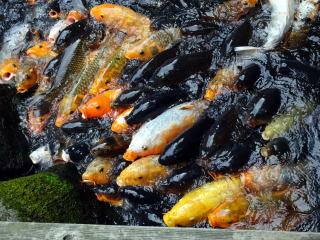 Hot-spring water is quite different from an ordinary hot water; then, the whole body becomes very warm up after. 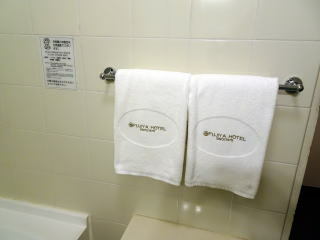 (L) A full-functioned washlet toilet (M) a brand new Imabari-made soft towel was prepared in a bathroom. because of a double door, and the room inside is silent. The ceiling of the main dinning-room is beautifully decorated with 636 Alpine plants. 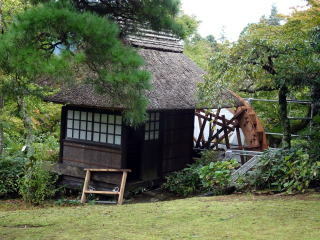 and the essence of ancient architecture in Japan. 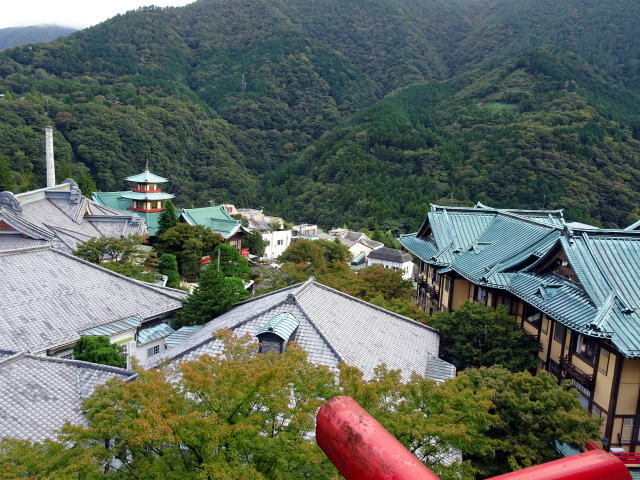 It provides a fine view of the Flower Palace and its surroundings. Archduke Franz Ferdinand of Austria has visited the hotel in 1893. 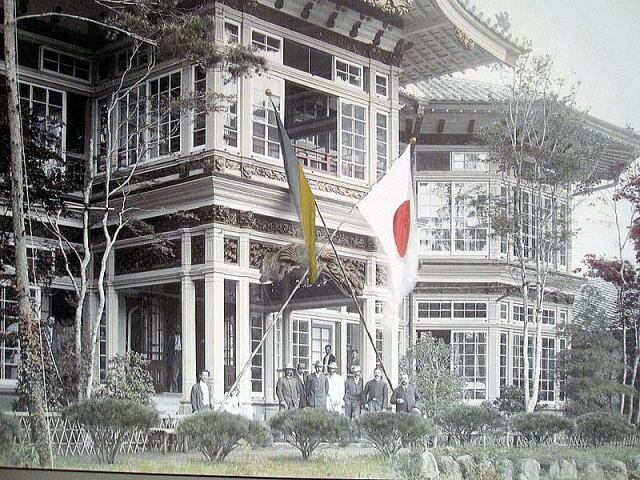 Fujiya Hotel at Miyanoshita was requisitioned to Occupation Forces in September 1945. 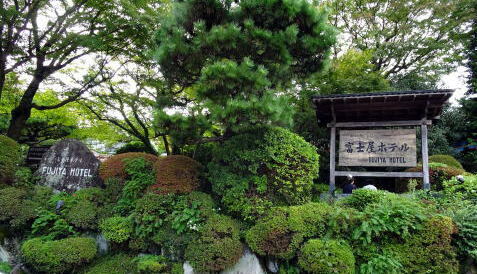 In July 1954, the hotel was returned to the private owner of Fujiya Hotel. 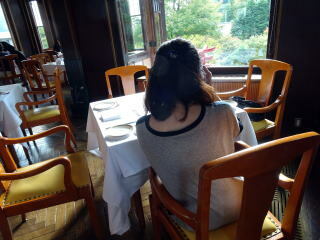 Many foreign dignitaries and well-known peoples have stayed in this hotel. the Swedish Crown Prince, the Emperor Showa, the current Emperor and Empress. 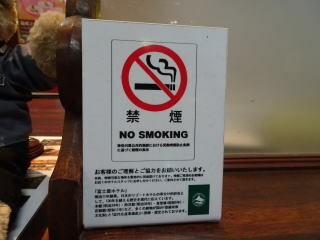 All guest rooms of Fujiya Hotel became smoke-free since January 2015. 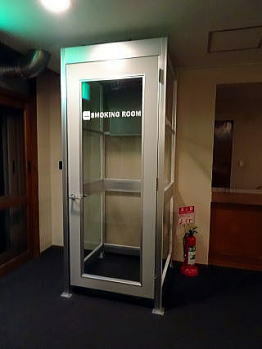 There are five smoking booths in the buildings. (L) A compact shuttle car of Fujiya Hotel may take you to Miyanoshita Station upon request. Note: This hotel is closed for two years, until 2020, to be the earthquake resistant structured. 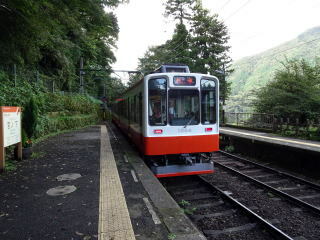 at Hakone-Yumoto, transfer a tram car to Minanoshita station to get off. It takes 75 minutes from Tokyo terminal to Miyanoshita, without counting a time to change a train. 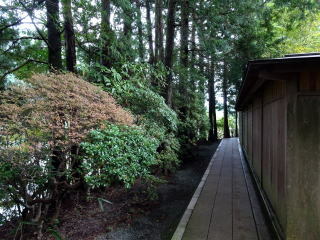 and there is no need to change a train to Hakone-Yumoto. 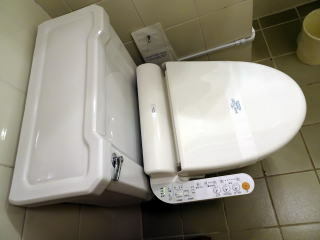 This is money-saving and quick-access-way. At Hakone-Yumoto, as used shinkansen, you have to transfer a mountain tram car to Minanoshita station. Super-express train 50,000 by Odakyu Electric Railway Co. is parked at Hakone-Yumoto Station. 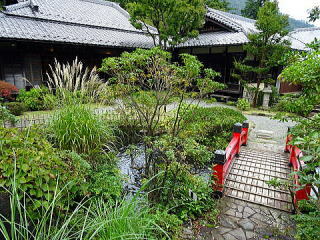 If you want to have experience of true Japanese 'Omotenashi,' you will find it at Kagaya Ryokan.